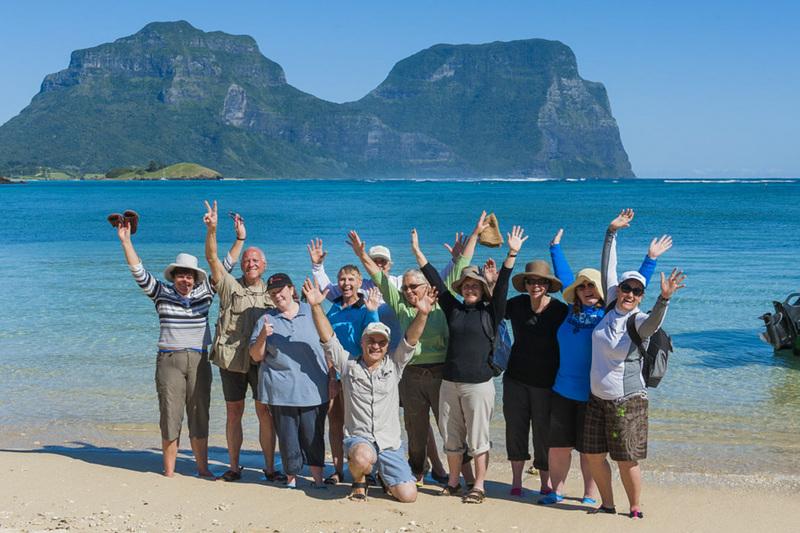 After arriving on Lord Howe and a quick settle-in at your accommodation at Ocean View Lodge, we will meet for introductions and a session titled “Getting to know your digital camera and settings”. Michael will also let you know what to expect from the week ahead. It’s up early for a pre-dawn shoot at Ned’s Beach, just a short distance from our base. Here you will photograph the sunrise over the beach. 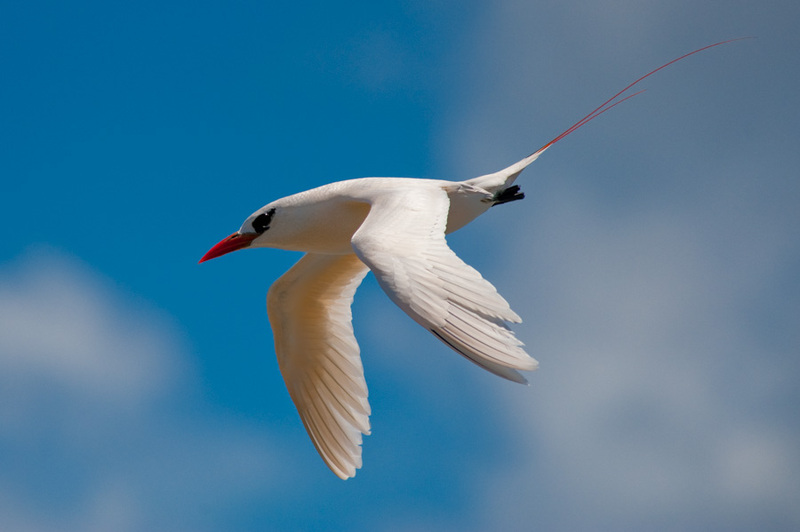 After our snorkel, we will land ashore and have morning tea, followed by a bird photography session. 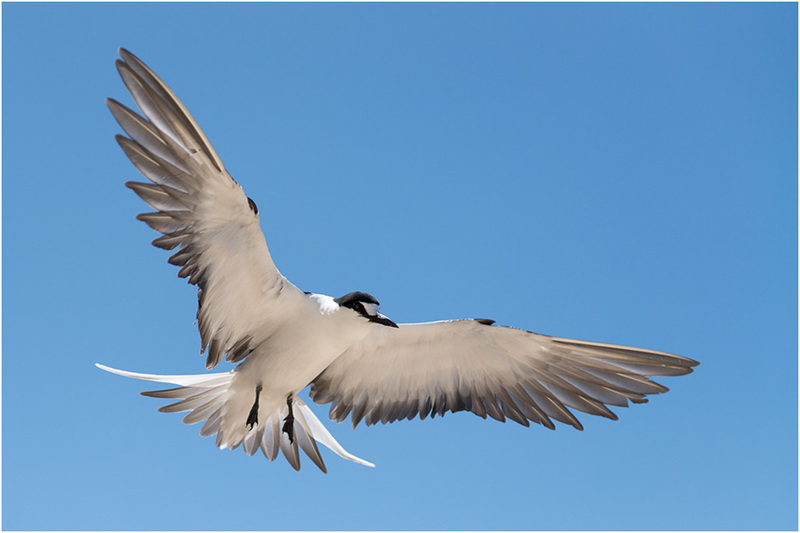 With the variety of birds on Lord Howe Island, we should find lots of subjects to photograph, including thousands upon thousands of Sooty Terns nesting on the beach. A picnic lunch is included and then it’s off for a short walk to photograph the rock pools of Old Gulch. 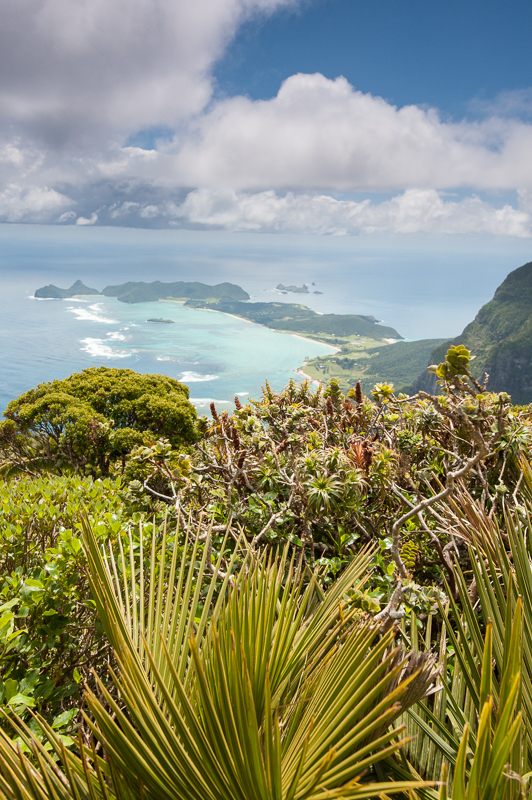 This is followed by a walk up the Mt Eliza track, for a chance to photograph the spectacular views over the turquoise lagoon of North Bay, southward to the twin peaks of Mt Gower and Mt Lidgbird. We will return via boat back to our starting point, close to our accommodation. 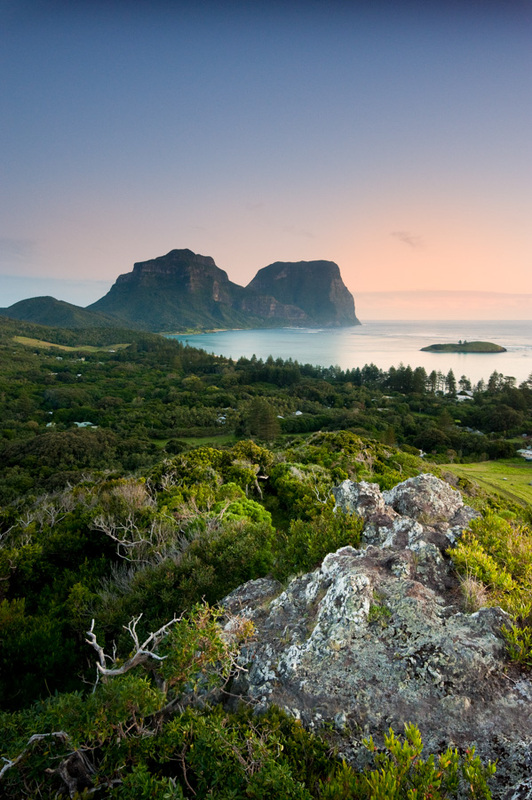 In the evening, we will head off to see Lord Howe's famous naturalist, Ian Hutton, present an audio-visual on birds of Lord Howe Island. After a sleep in and breakfast, Michael will present and audio-visual on wildlife and landscape photography. 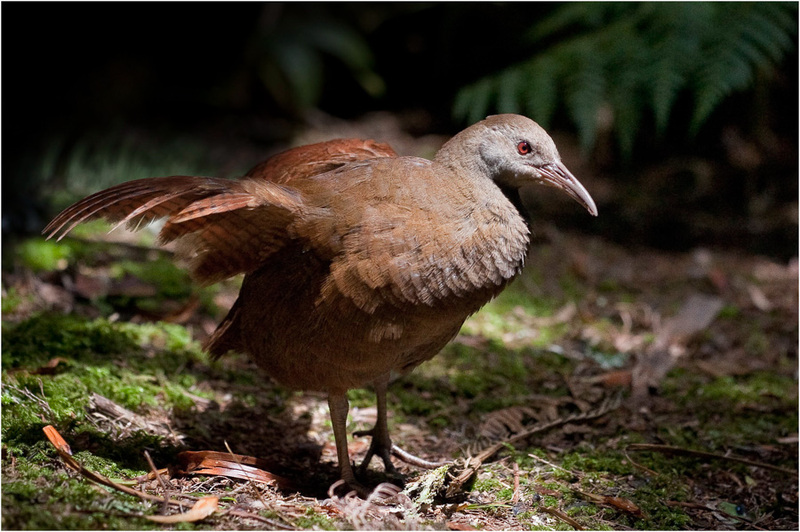 This will be followed by a trip out towards the southern end of the island, where we will look for and photograph as many bird species as we can find, include the Lord Howe Island Woodhen. Late in the afternoon, we start our slow walk to the top of the sea cliffs at Malabar (situated just behind our accommodation). The cliffs themselves are spectacular and the views to the north across the Admiralty Islands are remarkable. If you enjoy macro photography, there are various macro subjects along the way, as well as different bird species such as Masked Boobies and Red-tailed Tropicbirds at the top of the cliff. On the way back, there will be a sunset shoot where you can get great shots overlooking the island, before heading back to base. In the evening, we head to Signal Point for some star/night photography, using Mt Gower and Mt Lidgebird as our backdrop. Another early morning start, this time photographing the sunrise at Blinky's Beach. After breakfast, there will be an image critique session, where Michael will offer critique on photos taken so far. Late afternoon, we head to Little Beach, at the base of Mt Lidgebird on the southern part of the island, where we will photograph some beautiful seascapes. In the evening, we will head to Coral Restaurant for a scrumptious dinner. Free Day. This is your chance for your own personal explorations, or a time to relax. Options include a guided Mt Gower climb; a SCUBA dive; another snorkelling trip or fishing charter, or maybe a boat trip out to Ball's Pyramid. You could also revisit your favourite locations and subjects again with your camera, either on foot, by bicycle or hiring a car for a day. This morning we’ll head down to the jetty for our last sunrise shoot, using Mt Gower and Mt Lidgebird again as our backdrop. After breakfast, we spend time playing with light and shade in the palm forest called 'Valley of the Shadows'. Photogenic fig trees, with amazing aerial roots and buttresses, are one of the many forest highlights. Our final session is a seascape shoot from the jetty and along the shores near Signal Point. This morning you’ll have free time to pack and prepare for the trip home and say your goodbyes. Departures for home cities are at various times through the day. No matter what your level of experience, Michael will help you gain valuable photographic technique that will ultimately lead to you taking better quality photos. 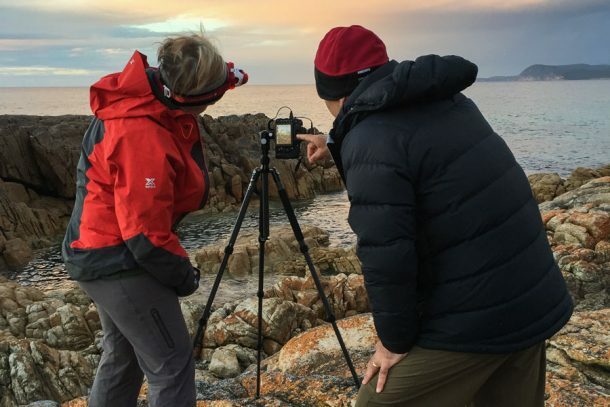 With a professional wildlife and nature photographer and experienced photography tutor on hand throughout the week, there will be many opportunities to ask any photography-related questions, specific to your own personal needs. To email Michael, please use the contact form or phone 0408 941 965.
due to prevailing weather conditions and/or other localised circumstances, that are out of the control of Michael Snedic.